www.t-i.org.uk :: Transatlantic & Caucasus Studies Institute :: Is Abkhazian Independence a Fig Leaf for Russian Ambition? 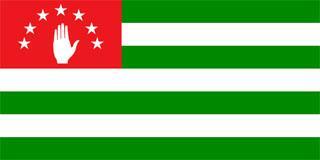 You are here: Home > Publications > Is Abkhazian Independence a Fig Leaf for Russian Ambition? Is Abkhazian Independence a Fig Leaf for Russian Ambition? News regarding the development of a Russian military presence in Abkhazia, on the Black Sea Port of Ochanchire, southeast of Sukhumi and the restoration of the Bombora Airfield in Gudauta, the largest in the South Caucasus, are clear markers for the Kremlin's agenda. The soon-to-be-developed port at Ochanchire will present a genuine threat to the ports of Batumi and Poti. Whilst the airbase at Bombora has a clear history: it was used by Russian forces during the Russo-Georgian War in August 2008, and it had provided a supply route for assistance given to Abkhaz separatists during the early nineties. OSCE have repeatedly been denied access to the base. The Georgian government have stated that Russia, which claimed to have fully withdrawn from the base in 2001, never complied with the promise made to the international community. It is believed that Russia never fully complied with the ceasefire agreement signed in August 2008, having kept forces in Bombora. Russia also intends to deploy some 4,000 troops to the Kodori Gorge, as a mountainous force. To suggest that the Russian military build-up in territory that is internationally acknowledged to be part of Georgia is intimidating and provocative is an understatement. It becomes increasingly clear that Russia's hasty decision to acknowledge Abkhazian independence, even as the world community, including the Shanghai Cooperation Organisation and CIS countries, failed to show support for its right to statehood, was a fig leaf for Russia's aim of regaining its strategic position in the Black Sea Region.